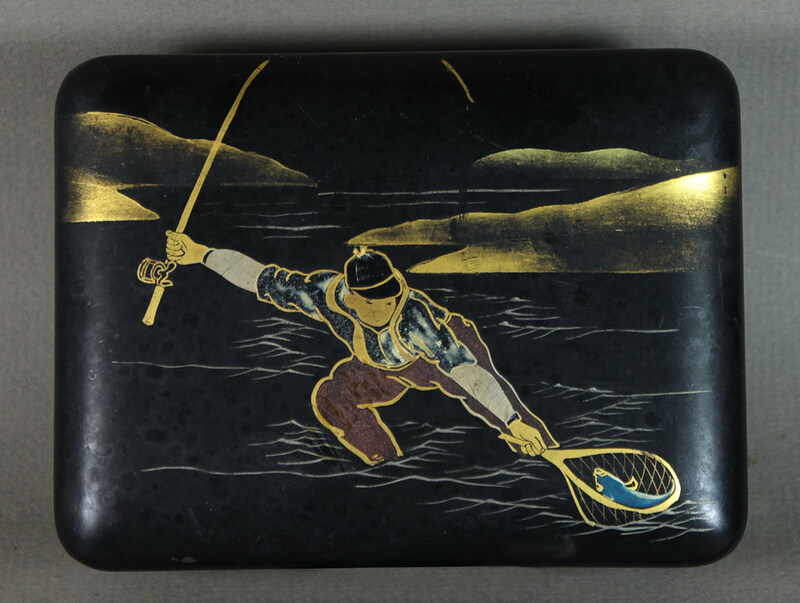 A Japanese lacquer cigarette box depicting a fisherman with rod and reel landing a fish in a net. 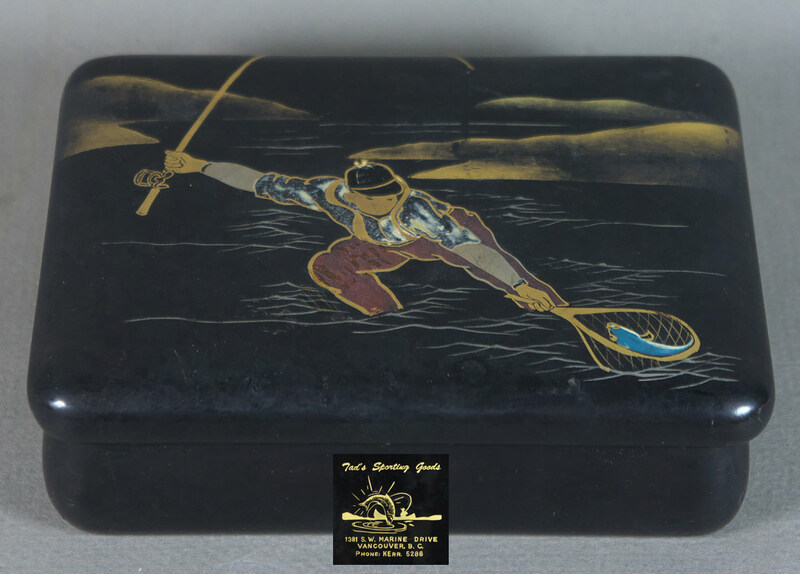 This box dates from the 1950-60’s and was a promotional item from ‘Tad’s sporting goods’ in Vancouver BC. 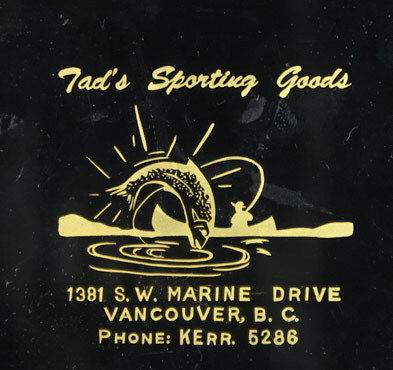 Tad’s sporting goods are still in operation today, but not at 1381 S.W. Marine drive any longer.